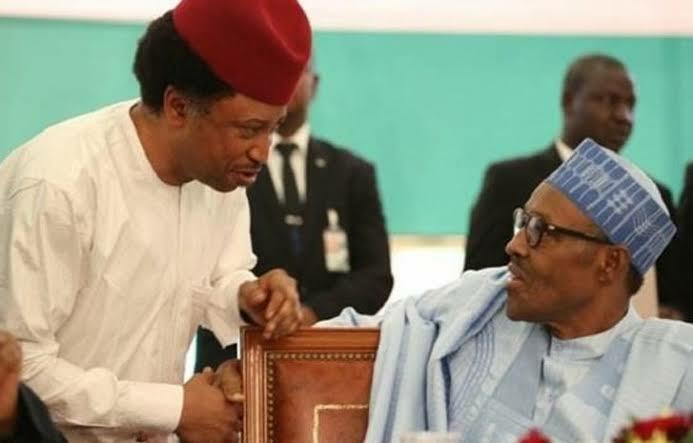 The Presidency has distanced President Muhammadu Buhari from a letter in circulation, which alleged that the President had authorised Governor Nasir el-Rufai to “deal with traitors and disloyal members of APC, especially Senator Shehu Sani”. Malam Garba Shehu, the President’s Senior Special Assistant on Media and Publicity, made this known in a statement in Abuja on Sunday, October 7. According to the Presidential Aide, Muhammadu Buhari is not aware of any such letter, let alone authorising anyone to deal with any party member. The statement reads: “The presidency wishes to distance President Muhammadu Buhari from a letter currently in circulation, which alleges that the President had authorized a governor or anyone else for that matter to deal with traitors and disloyal members of APC, especially Senator Shehu Sani. We wish to confirm that the president is not aware of any such letter, let alone authorising anyone to deal with any party member. It would be recalled that el-Rufai had last week visited the Presidential Villa twice over political developments in his State. el-Rufai, who vehemently opposed the decision of the APC National Working Committee (NWC) to clear Shehu Sani as the sole candidate in the race for APC-Kaduna Central, said the fate of the senator “lies in the hands of the party delegates in the state”. The national body of the APC had on Sunday, October 7 reiterated that Sani remained its only senatorial candidate from Kaduna Central. The Acting National Publicity Secretary of the party, Mr. Yekini Nabena, confirmed this in Abuja.